Millions of college students nationwide will graduate next month. After four years (or more) of hard work, they’ll leave school and enter the workforce. And while this is a proud moment for parents, it can also be scary. Many of these fresh graduates will start off their professional lives with substantial student loan debt. And if they’re not prepared to begin paying these loans off, they can end up in serious financial trouble. Fortunately, you can help prevent that from happening by working with your child to come up with a plan. Below are four steps that can help you and your child manage student loans together. If your child took out several loans over the course of their college career – perhaps both federal and private student loans – they might not remember their lenders’ information. Plus, student loans are often sold or transferred to new servicers, making it even harder to track them down. There are two tools you can use to find out what loans you and/or your child has and the current balance on each. For federal loans, visit the National Student Loan Data System (NSLDS). It’s a central database of loans and grants where you can see what debt you have and the status. If you have private loans, you can find the loan servicer and status of the loan by checking your credit report for free at annualcreditreport.com. 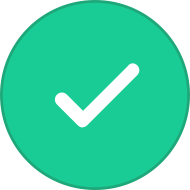 The credit report will show all of the accounts and lines of credit in your name. If you can locate the loan promissory note, it will outline the loan terms, including the minimum loan payment and length of repayment. But even if you can’t find the promissory note, the loan company will send your child a bill with the minimum amount. You can also use the Federal Student Aid Repayment Estimator to estimate how much of the payment will go towards interest versus principal. By running the numbers with your children, you can show them how applying extra payments to the loans can save them hundreds over the length of their loan. If your child’s starting salary is too low to keep up with the payments, or if they are still job searching, look at possible repayment options. If they have federal loans, an income-driven repayment (IDR) plan may be a smart idea. Rather than the standard 10-year plan, the government extends the repayment term to 20-25 years with an IDR option. Monthly payments are also capped at a percentage of your child’s discretionary income, so they may significantly reduce the monthly bill. In fact, it’s possible to end up with a monthly payment of $0. And at the end of the repayment term, if any debt is left over, it will be discharged (but taxed as income for that year). Private student loans are not eligible for income-driven repayment, but some of the top private student loan companies offer benefits such as interest-only payments. Under these plans, your child will pay a much smaller bill each month that only covers the interest. It will take much longer to repay the loan, but it can give a young graduate more breathing room until their career takes off. Keep in mind that co-signing means you’re responsible for the loan if your kid misses a payment, so it’s important to work out an agreement with your children ahead of time. Only take this step if you’re confident in their ability to be responsible with their payments. 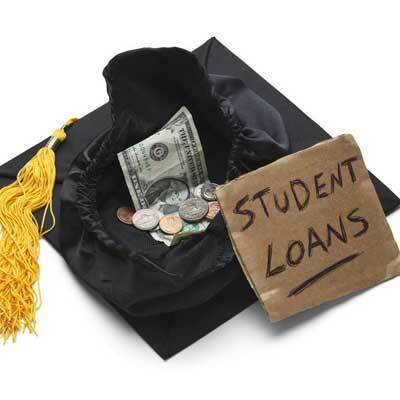 Coming up with a debt repayment strategy can be overwhelming for a new graduate. You can help them get on the right path and avoid mistakes by working with your children to identify their options for their student loans. About the author: Student Loan Hero is a website that combines easy-to-use tools with financial education to help the millions of Americans living with student loan debt manage their student loans smarter. They've helped over 100,000 borrowers manage and eliminate over $2 billion in student loan debt since 2012.